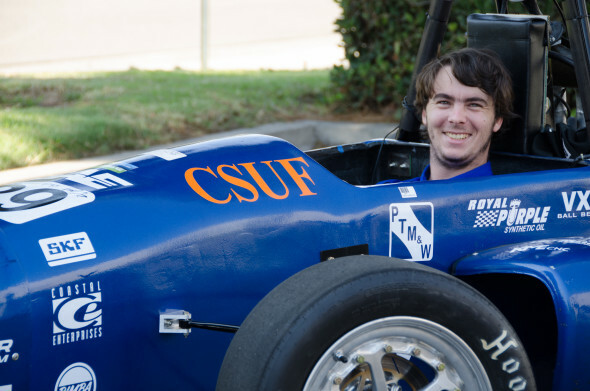 Cal State Fullerton was able to reduce the weight on their 2012 FSAE car an estimated 40 lbs. 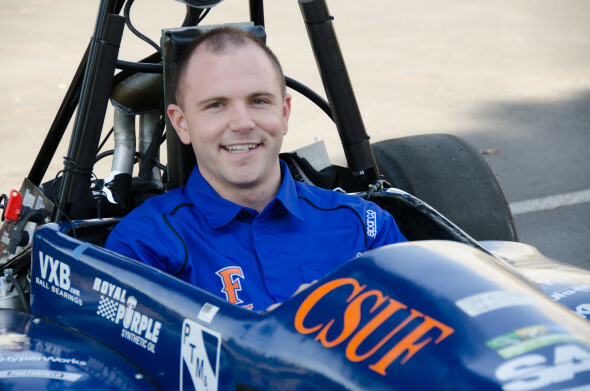 by designing and building a composite chassis instead of using chromoly tubular steel like past years. 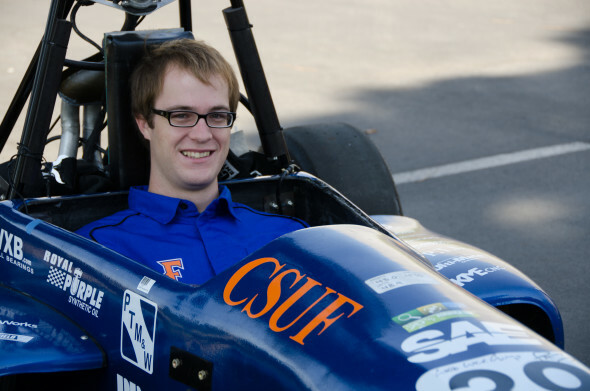 The FSAE team was able to accomplish this with the help of Precision Board PBLT-20 HDU donated by Coastal Enterprises. After CNC machining master plugs from the Precision Board PBLT-20, students coated each piece with Duratec. The next step was applying a mold release and surface coat prior to laying up carbon fiber onto them. After each carbon fiber part was released from their master plug, 300˚ post-cures in an autoclave produced extremely strong carbon fiber parts that were formed together to create the ultralight chassis they desired. 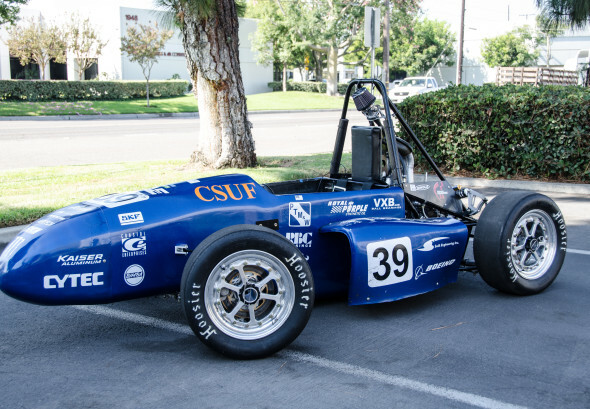 As relative newcomers to the FSAE circuit (CSUF has participated since 2007), CSUF FSAE team members have faced an uphill battle competing against veteran schools already heavily relying on composite tooling and parts. 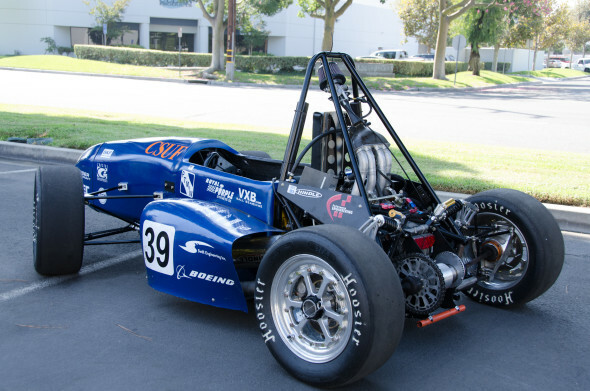 Thanks to a forward-thinking FSAE team and help from Precision Board, CSUF students were able to even the playing field in 2012 with a lighter, faster car. 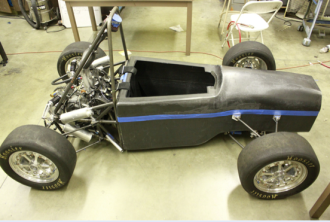 “We enjoyed working with Precision Board because it CNC machines and sands easily, and it enabled us to achieve our goal of a building an ultralight carbon fiber chassis. 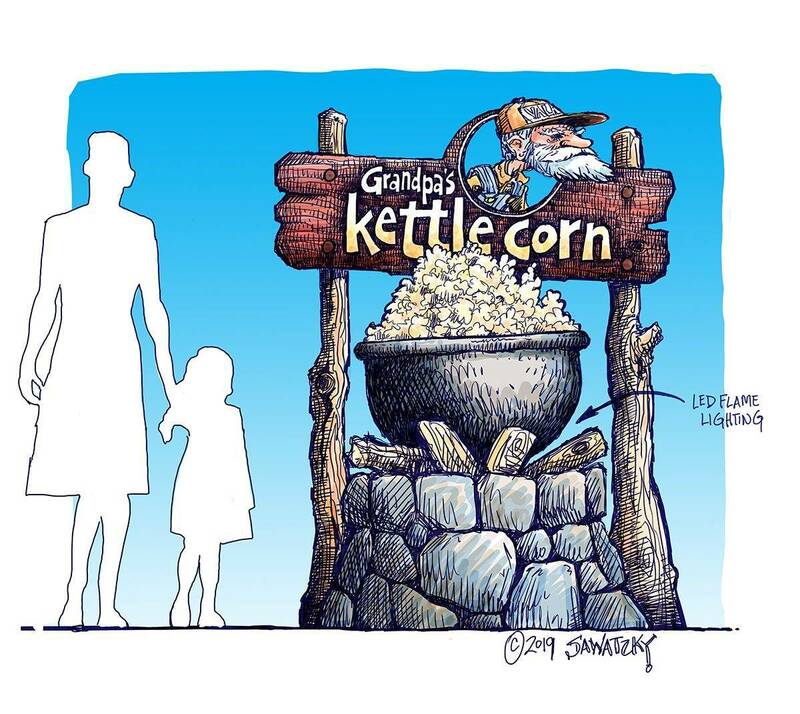 We are also looking forward to continued development of this amazing product!”, says Team Leader Michael Gustafson. 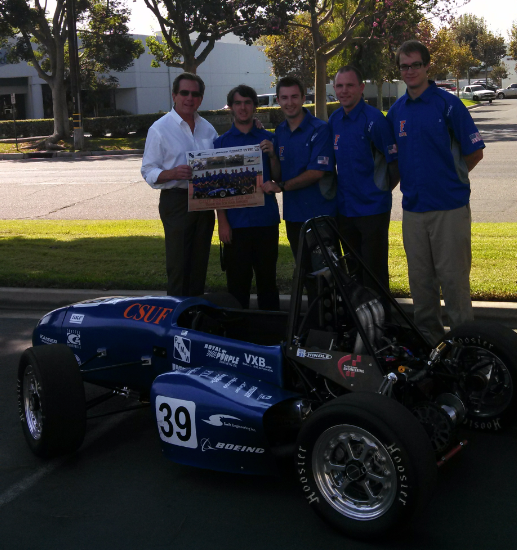 In honor of the longtime support the Cal State Fullerton FSAE team has received from Coastal Enterprises, CSUF students made a trip to our headquarters to present the President of our company, Mr. Chuck Miller, with a plaque commending his dedication to the team. 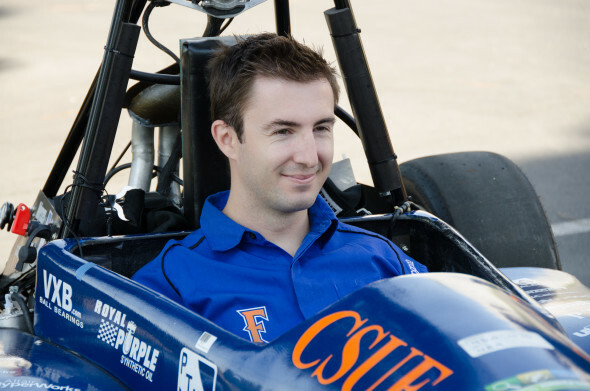 FSAE team members also brought their very impressive 2012 car and gave the Coastal Enterprises team a chance to see the FSAE car up close and personal. 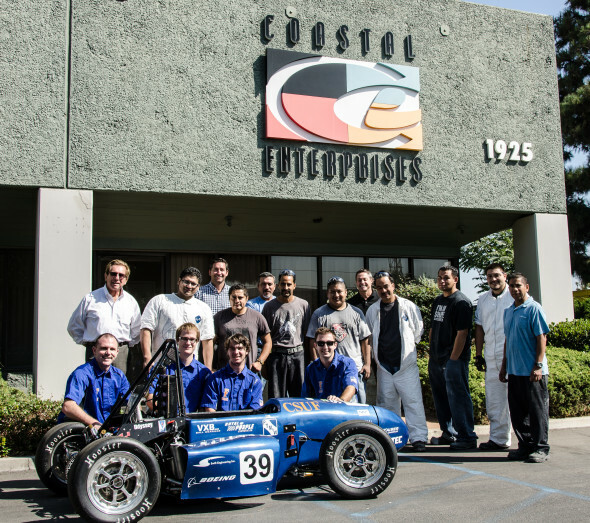 FSAE team members presenting Coastal Enterprises President Chuck Miller with a plaque commending his dedication to the team.